Please click on the links below to find out more about our curriculum or come and talk to us. A high quality religious education (RE) curriculum is an important part of our teaching. At the heart of RE in our school is the teaching of Christianity, rooted in the person and work of Jesus Christ. Please click HERE for our RE Statement of Entitlement. Below, you will find statements related to the age appropriate reading skills, knowledge and understanding for each year group. These key learning documents are used to support pupils in becoming effective and reflective independent readers. Our teaching of early reading is based around the Oxford Reading Tree scheme. The Key Learning statements are used by teachers to help to focus whole class teaching and are taught in the context of lively, engaging and creative units of work, they help to ensure that pupils make progress as readers. Teachers ensure that skills are modelledvand scaffolded and that pupils are given opportunities to apply them in a range of different contexts. 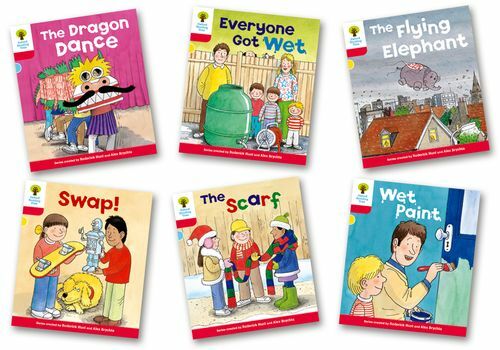 Regular teaching of skills takes place through a combination of lively, engaging shared reading, focused, needs-based guided reading and the daily read-aloud programme. Texts used are high quality, interesting, engaging and fascinating. Texts from a wide range of genres and authors are read. Reading skills are regularly applied across the curriculum.